The 1964 Summer Olympics, officially known as the Games of the XVIII Olympiad(Japanese:第十八回オリンピック競技大会, Hepburn:Dai Jūhachi-kai Orinpikku Kyōgi Taikai), was an international multi-sport event held in Tokyo, Japan, from 10 to 24 October 1964. Tokyo had been awarded the organization of the 1940 Summer Olympics, but this honour was subsequently passed to Helsinki because of Japan's invasion of China, before ultimately being cancelled because of World War II. Hepburn romanization is a system for the romanization of Japanese that uses the Latin alphabet to write the Japanese language. It is used by most foreigners learning to spell Japanese in the Latin alphabet and by the Japanese for romanizing personal names, geographical locations, and other information such as train tables, road signs, and official communications with foreign countries. Largely based on English writing conventions, consonants closely correspond to the English pronunciation and vowels approximate the Italian pronunciation. The 1964 Summer Games were the first Olympics held in Asia, and the first time South Africa was barred from taking part due to its apartheid system in sports. (South Africa was, however, allowed to compete at the 1964 Summer Paralympics, also held in Tokyo, where it made its Paralympic Games debut.) Tokyo was chosen as the host city during the 55th IOC Session in West Germany, on 26 May 1959. The 1964 Summer Paralympics, originally known as the 13th International Stoke Mandeville Games and also known as Paralympic Tokyo 1964, were the second Paralympic Games to be held. They were held in Tokyo, Japan, and were the last Summer Paralympics to take place in the same city as the Summer Olympics until the 1988 Summer Paralympics. South Africa made its Paralympic Games début at the 1964 Summer Paralympics in Tokyo, Japan. These games were also the first to be telecast internationally without the need for tapes to be flown overseas, as they had been for the 1960 Olympics four years earlier. The games were telecast to the United States using Syncom 3, the first geostationary communication satellite, and from there to Europe using Relay 1. These were also the first Olympic Games to have color telecasts, albeit partially. Certain events like the sumo wrestling and judo matches, sports huge in Japan, were tried out using Toshiba's new colour transmission system, but only for the domestic market. History surrounding the 1964 Olympics was chronicled in the 1965 documentary film Tokyo Olympiad , directed by Kon Ichikawa. A geostationary orbit, often referred to as a geosynchronous equatorial orbit (GEO), is a circular geosynchronous orbit 35,786 km (22,236 mi) above Earth's equator and following the direction of Earth's rotation. An object in such an orbit appears motionless, at a fixed position in the sky, to ground observers. Communications satellites and weather satellites are often placed in geostationary orbits, so that the satellite antennae that communicate with them do not have to rotate to track them, but can be pointed permanently at the position in the sky where the satellites are located. Using this characteristic, ocean-color monitoring satellites with visible and near-infrared light sensors can also be operated in geostationary orbit in order to monitor sensitive changes of ocean environments. The games were scheduled for mid-October to avoid the city's midsummer heat and humidity and the September typhoon season. The previous Olympics in Rome in 1960 started in late August and experienced hot weather. The following games in 1968 in Mexico City also began in October. A typhoon is a mature tropical cyclone that develops between 180° and 100°E in the Northern Hemisphere. This region is referred to as the Northwestern Pacific Basin, and is the most active tropical cyclone basin on Earth, accounting for almost one-third of the world's annual tropical cyclones. For organizational purposes, the northern Pacific Ocean is divided into three regions: the eastern, central, and western. The Regional Specialized Meteorological Center (RSMC) for tropical cyclone forecasts is in Japan, with other tropical cyclone warning centers for the northwest Pacific in Hawaii, the Philippines and Hong Kong. While the RSMC names each system, the main name list itself is coordinated among 18 countries that have territories threatened by typhoons each year A hurricane is a storm that occurs in the Atlantic Ocean or northeastern Pacific Ocean, a typhoon occurs in the northwestern Pacific Ocean, and a tropical cyclone occurs in the south Pacific or Indian Ocean. West Germany, officially the Federal Republic of Germany, and referred to by historians as the Bonn Republic, was a country in Central Europe that existed from 1949 to 1990, when the western portion of Germany was part of the Western bloc during the Cold War. It was created during the Allied occupation of Germany in 1949 after World War II, established from eleven states formed in the three Allied zones of occupation held by the United States, the United Kingdom and France. Its capital was the city of Bonn. Judo and volleyball, both popular sports in Japan, were introduced to the Olympics. Japan won gold medals in three judo events, but Dutchman Anton Geesink won the Open category. The Japanese women's volleyball team won the gold medal, with the final being broadcast live. The Oxford Olympics Study established the outturn cost of the Tokyo 1964 Summer Olympics at US$282 million in 2015-dollars. This includes sports-related costs only, that is, (i) operational costs incurred by the organizing committee for the purpose of staging the Games, e.g., expenditures for technology, transportation, workforce, administration, security, catering, ceremonies, and medical services, and (ii) direct capital costs incurred by the host city and country or private investors to build, e.g., the competition venues, the Olympic village, international broadcast center, and media and press center, which are required to host the Games. Indirect capital costs are not included, such as for road, rail, or airport infrastructure, or for hotel upgrades or other business investment incurred in preparation for the Games but not directly related to staging the Games. The cost for Tokyo 1964 compares with costs of USD 4.6 billion for Rio 2016, USD 40-44 billion for Beijing 2008 and USD 51 billion for Sochi 2014, the most expensive Olympics in history. Average cost for Summer Games since 1960 is USD 5.2 billion. Tokyo has attempted to bring the Olympic Games back to the city, having unsuccessfully bid for the 2016 Summer Olympics, which were awarded to Rio de Janeiro. Tokyo will host the 2020 Summer Olympics and 2020 Summer Paralympics games. Tokyo will be the first Asian city to host the games twice. Tokyo Olympiad , a documentary film about the 1964 Games. The 1996 Summer Olympics, officially known as the Games of the XXVI Olympiad, commonly known as Atlanta 1996, and also referred to as the Centennial Olympic Games, were an international multi-sport event that was held from July 19 to August 4, 1996, in Atlanta, Georgia, United States. These Games, which were the fourth Summer Olympics to be hosted by the United States, marked the centenary of the 1896 Summer Olympics in Athens—the inaugural edition of the modern Olympic Games. They were also the first since 1924 to be held in a different year from a Winter Olympics, under a new IOC practice implemented in 1994 to hold the Summer and Winter Games in alternating, even-numbered years. The 1992 Summer Paralympics were the ninth Paralympic Games to be held. They were held in Barcelona, Spain. In addition, the 1992 Paralympic Games for Persons with mental handicap were held immediately after the regular Paralympics in the Spanish capital, Madrid. 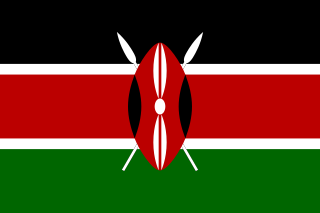 Kenya competed at the 2004 Summer Olympics in Athens, Greece, from 13 to 29 August 2004. This was the nation's eleventh appearance at the Olympics, except the 1976 Summer Olympics in Montreal and the 1980 Summer Olympics in Moscow because of the African and United States boycott. Poland first participated at the Olympic Games in 1924, and has sent athletes to compete in every Summer Olympic Games since then, except for the 1984 Games, when they participated in the Soviet-led boycott of the 1984 Summer Olympics. Poland has also participated in every Winter Olympic Games. 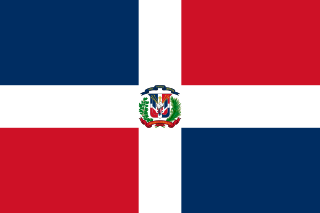 The Dominican Republic first participated in the Olympic Games in 1964, when Alberto Torres de la Mota participated in the 10th heat of the 100m competition and ran 10.9sec, finishing 6th, not qualifying for the next round. Absent at the inaugural Paralympic Games in 1960 in Rome, Japan made its Paralympic début by hosting the 1964 Games in Tokyo. The country has participated in every subsequent edition of the Summer Paralympics, and in every edition of the Winter Paralympics since the first in 1976. It has hosted the Paralympic Games twice, with Tokyo hosting the 1964 Summer Games, and Nagano the 1998 Winter Paralympics.The next Summer Paralympics in 2020 will be held again in Tokyo. 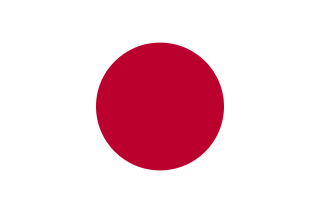 Japan is represented by the Japan Paralympic Committee. Zipora Rubin-Rosenbaum is an Israeli athlete who has won 30 Paralympic medals. She has represented Israel at the Summer Paralympic Games seven times and has competed in athletics, swimming and table tennis at the Games. The 1968 Summer Paralympics was an international multi-sport event held in Tel Aviv, Israel, from November 4 to 13, 1968, in which athletes with physical disabilities competed against one another. The Paralympics are run in parallel with the Olympic Games; these Games were originally planned to be held alongside the 1968 Summer Olympics in Mexico City, but two years prior to the event the Mexican government pulled out due to technical difficulties. At the time, the event was known as the 17th International Stoke Mandeville Games. The Stoke Mandeville Games were a forerunner to the Paralympics first organized by Sir Ludwig Guttmann in 1948. This medal table ranks the competing National Paralympic Committees (NPCs) by the number of gold medals won by their athletes. Ronald Arthur "Ron" Stein was an American athlete who competed at the inaugural Summer Paralympic Games held in Rome in 1960. The 2020 Summer Paralympics are an upcoming major international multi-sport event for athletes with disabilities governed by the International Paralympic Committee. Scheduled as the 16th Summer Paralympic Games, it is planned to be held in Tokyo, Japan from 25 August to 6 September 2020. This will mark the second time Tokyo has hosted the Paralympics, as they were first hosted there in 1964 alongside the 1964 Summer Olympics. The 13th International Stoke Mandeville Games, later known as the 1964 Summer Paralympics, was an international multi-sport event held in Tokyo, Japan, from November 3 to 12, 1964, in which paraplegic and tetraplegic athletes competed against one another. The Stoke Mandeville Games were a forerunner to the Paralympics first organized by Sir Ludwig Guttmann in 1948. This medal table ranks the competing National Paralympic Committees (NPCs) by the number of gold medals won by their athletes. ↑ BBC News On This Day, 18 August, "1964: South Africa banned from Olympics". ↑ "Past Olympic Host City Election Results". GamesWeb.com. Archived from the original on 15 September 2008. Retrieved 23 September 2008. ↑ "The Miami News - Google News Archive Search". The Miami News. Retrieved October 10, 2014. ↑ Griggs, Lee (28 October 1963). "A very dry run in Tokyo". Sports Illustrated: 64. ↑ "IOC Vote History". Aleksandr Vernik. Retrieved 10 October 2014. ↑ Varian, Heidi (2013). The Way of Taiko: 2nd Edition. Stone Bridge Press. pp. 28–29. ISBN 1611720125. ↑ "Olympic Games Tokyo 1964 – Medal Table". Archived from the original on 6 October 2009. Retrieved 11 October 2009. ↑ "For Gold, Silver & Bronze". TIME. 16 October 1964. Retrieved 5 January 2010. ↑ Martin, Donald H. (2000). Communications Satellites (fourth ed.). El Segundo, CA: The Aerospace Press. pp. 8–9. ISBN 1-884989-09-8 . Retrieved 31 October 2009. ↑ "Significant Achievements in Space Communications and Navigation, 1958–1964" (PDF). NASA-SP-93. NASA. 1966. pp. 30–32. Retrieved 31 October 2009. ↑ Flyvbjerg, Bent; Stewart, Allison; Budzier, Alexander (2016). The Oxford Olympics Study 2016: Cost and Cost Overrun at the Games. Oxford: Saïd Business School Working Papers (Oxford: University of Oxford). pp. 9–13. SSRN 2804554 . 1 2 3 Droubie, Paul (July 31, 2008). "Japan's Rebirth at the 1964 Tokyo Summer Olympics". aboutjapan.japansociety.org. About Japan: A Teacher's Resource. Archived from the original on 15 January 2010. Retrieved January 10, 2010. ↑ "Japan's Capital Tokyo to host 2020 Olympic and Paralympic Games" . Retrieved 8 September 2013. Wikimedia Commons has media related to 1964 Summer Olympics .